Adam Flatt continues to lead the Newport Symphony in a dynamic period of artistic and institutional growth that began when he became Music Director in 2007. As the NSO’s profile has risen to the top rank of coastal cultural organizations, sold-out audiences at home in Newport and elsewhere along the Oregon Coast have extravagantly praised Adam’s exciting and committed musical leadership and compelling programming. Adam first led the NSO as a guest in 1998, and after a subsequent appearance in 2006 was invited to assume the leadership of the Orchestra after a search process that involved over 150 candidates. After beginning his professional career in Oregon as apprentice conductor of the Oregon Symphony, Adam went on to lead over 250 performances with the Colorado Symphony in five years at associate conductor. 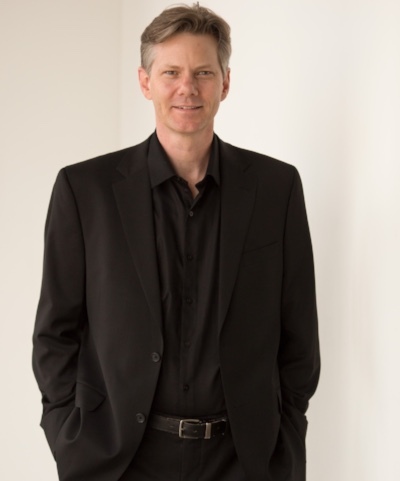 He has also previously held positions with two of America’s most prominent youth orchestras: the Portland Youth Philharmonic and the Denver Young Artists Orchestra. Now Adam enjoys a very busy career that reflects his versatility and demand. In addition to his familiar presence in the Newport community, Adam devotes time to Tuscaloosa, Alabama where he has been Music Director of the Tuscaloosa Symphony since 2011, and his base in Denver where he holds the same position with the Colorado Ballet and the Rocky Mountain West’s premier community orchestra, the Denver Philharmonic. As time allows, he is also a guest conductor for orchestras across the United States. Adam brings not only musicianship but a tireless artistic advocacy everywhere he works. A native of Sacramento, Adam has his bachelor’s degree in music with honors from the University of California at Berkeley, and his master’s in conducting from the Indiana University School of Music. He also studied in Austria, in Germany, and at the Aspen Music Festival. He lives in Denver with his wife Jenny, their young son Edgar and daughter Helen, who also sometimes join him for walks on the beaches of Newport.